ABQ POOP PATROL Provides dog poop pick up service for residential & commercial properties and is a easy and healthy choice to maintain a clean yard for your pets and family. Our pet waste manager will bring with them the benefit of doing the chore no one wants to do saving you time and at the same time keeping your family and pets healthy .Abq Poop Patrol will deliver reliable and professional cleaning visits on a bi-weekly or every week. We can also customize how many times you want us out to service your property. Service is paid monthly in advance. We have a simple agreement form we use that allows us to service you property. Call or text for service 505-850-7290. "Let Us Doo The Dirty Work For You! ", To start Dog Poop Cleaning Services, just call 505.489.3213 and consider the job done. From time to time Furry Friends does offer client discounts. Again, please call to see if you can avail any of them. Likewise, all referrals that become Clients are rewarded by giving a free month of Pet Waste Removal Services to the household that made the referral. ABQ's Professional Pet Car Service has been working in the Albuquerque, New Mexico taking care of pets and their yard cleanup needs for years now. You can find a current schedule of Pet Cleaning Service rates right on the furryfriendscleanup.com as well as much for details about the Company itself. "Enjoy Your Pets Without The Mess!" Looking forward to hearing from you all. A Professional Solution for Dog Owners that won't break the bank each month. We provide a convenient and healthy choice for maintaining a clean yard for pets and family alike; to live, grow and play all year round. Our friendly scoopers bring with them the benefits of a consistently waste-free home and the elimination of one of life's more unpleasant tasks. We provide timely and courteous cleaning visits on an either weekly or every other week basis, paid monthly. There are commercial and one-time cleanings rates available for special occasions and holidays. We leave our time-marked hanger on the door after each visit to ensure quality service. Poop Busters Pet Waste Removal Provides Professional Level, Routine Waste Removal For Both Bernalillo County As Well As Sandoval County. Cities Included Are Albuquerque, Rio Rancho And Los Ranchos, New Mexico. Poop Buster’s is a Trademarked and Insured Company that is family owned and operated. We have been servicing the greater ABQ area for 26 years! We are not your average pooper scooper outfit. We are the “ORIGINAL POOP BUSTER!” We love to establish relationships with our clients, THE DOGS! And the people too, of course. Each week service occurs the day before the trash service, thus, removing any odor caused by, well the poop. Milk bone treats are given to you puppy companion with each visit. Our people client’s see us as the Poop Buster but the dogs see us as the cookie monster! Poop Buster’s has a simple saying that has been around since the beginning in 1985, “We pick up where your dog leaves off!” Services provided range from weekly to bi-weekly pick up as the most popular. We do offer once a month clean up and one time service as well. Gift certificates are a must for any pet owner. Commercial clients welcome, i.e. apartment complexes, senior living facilities, parks, walking trails and H.O.A.’s. Prices start at $10.00 for two pups. Professional dog waste removal services available for Roswell New Mexico as well as Cincinnati, OH and its surrounding areas. Book our ongoing, prescheduled cleaning service or give us a call if you simply need a last minute cleaning or large scale one to get you out of a bind. 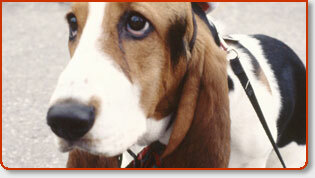 We are here to help you and have been dedicated to the pet care industry as a whole. No advance money or contracts is necessary to start our dog poop cleaning service. The Dog Janitor was founded in Roswell New Mexico in 2003. After much hard work and dedication, we have expanded our operation to the central Indiana and Cincinnati, Ohio areas. We look forward to serving these areas and are dedicated and commited to providing the highest quality service available at an affordable price. “Pooper scooper?” I can hear you thinking out loud to yourself wondering, “what in the world am I going to do with a pooper scooper service in New Mexico?” As one dog owner to another, I’ve got a couple questions for you all of which are related to obtaining the professional services of a licensed and insured New Mexico pooper scooper. Have dog poop problems been hounding you lately? Do you consider “quality” time between you and your dogs as walking around the backyard picking up their dog poop while they tag along sniffing your heels? Wouldn’t you appreciate it more if you could spend more time *playing* with your dogs as opposed to *picking* up after them? I’ll let you in on a little secret. You don’t have to play weekend pooper scooper at your home anymore. If you have dog poop problems, well let’s just say these guys who call themselves pooper scoopers definetly want your dog poop. You got it. They’ll take your crap. You’ll be freed up to do more of the things you like and your dogs will be smiling from ear to ear over their cleaner dog pen. Doesn’t matter if you own a home with dogs or are the property manager of a large apartment complex with pups. Your dog poop production problems will be “removed” regardless. Solved. As a pet owner, you can eliminate this filthy chore by utilizing one of these affordable and professional, New Mexico dog waste pickup and removal services listed for free here. If you’ve never considered this service, I think you will be quite surprised and impressed just how smooth and well taken care of your dogs “unmentionables” will be after signing up for this unique pet service. Consider this pooper scooper service also for any of your relatives or friends that are physically or mentally impaired and simply struggle to keep up with maintaining a pleasant yard for their dogs and family. This unique service really makes for a fitting gift to a dog owner as well as others who no longer can or want to pick up after their dogs. To say this is becoming a popular service around the country would be an understatement.